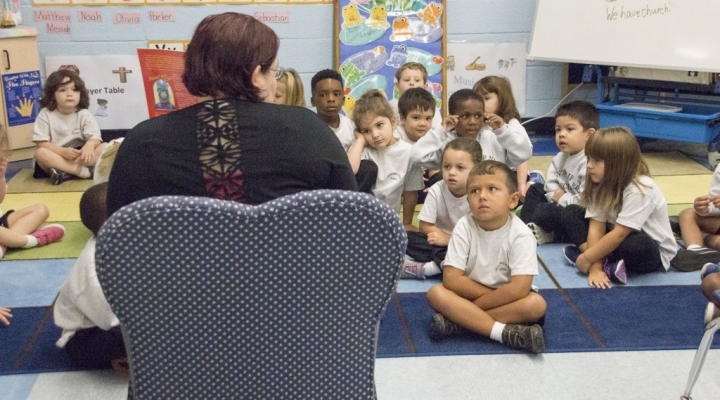 St. Philip Neri School follows the Archdiocese of Baltimore Early Childhood Course of Study, adapted from the National Association for the Education of Young Children (NAEYC). We recognize that an early childhood program is essential to a child’s spiritual, social, emotional, cognitive and physical development. By state regulation, we require a child entering PreK must be four years old by 9/1/2016. Parents have the option to pick either a full or a part-time program. Part-day students are still five days a week, but dismiss at 12:15 PM each day. 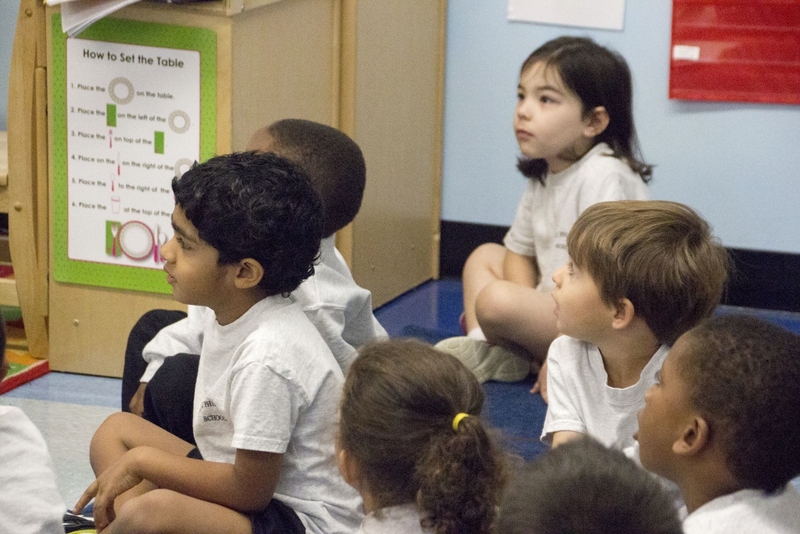 Although no two days are alike in PreK, teachers follow a schedule that allows the children to adapt to a routine. Circle Time - Prayer, music, stories, movement, calendar, weather, plans for the day. Work & Play Time - Children will rotate between play time in centers and work time. Work time consists of one on one time or small group hands-on activities. All children will have both work time and play time each day. Half-day students are dismissed at 12:15 p.m.
Each day the children will do many hands-on activities in religion, art, math and language. Students learn to cook, do science experiments, visit the school library and gym, and sometimes the computer lab. The PreK students will participate in as many school-wide activities as possible. They will attend the Fall Festival, Santa’s Secret Workshop and Vince’s Flower-Walk. PreK will have their own version of Field Day. To help the children during “big school” activities, PreK student are assigned a 7th Grader as their “buddy." PreK has small parties for Halloween, Christmas, Valentine’s Day, St. Patrick’s Day, Easter and a year-end class picnic. PreK students go on two field trips-one in October and one in the spring. Parents are welcomed to attend but must be Virtus trained. Children are required to have a short rest time. Rest time last about thirty minutes. The school will furnish a nap mat. Children are allowed to bring from home a blanket and a small stuffed toy to rest with. All rest time items are sent home each Friday for laundering. Parents need to provide two boxes of tissues, two bottles of hand sanitizer, two containers of Clorox wipes, and one box each-gallon and sandwich sized zipper top baggies. Each child will also need a cardboard shoe box. The school will furnish all other supplies. The students will go outside everyday, weather permitting. Children are to bring their own snack each day. They can bring lunch from home or purchase lunch from our cafeteria. School lunch costs $3.25 per day and will consist of a main dish, with fruit or vegetable. PreK students are to wear the St. Philip Neri School gym uniform that can be purchased from Flynn & O’Hara uniform store.